Traffic heading towards Nissan on Downhill Lane in Sunderland, as show via the @NELiveTraffic camera network. Good morning, here is the latest from around the region. TRAFFIC - Highways England has reported that the planned works in a series of locations across the North East have now been removed. These include between the A19 A186 Holystone to the A193 Howdon in both directions, between the A1 J73 northbound to J75 Blaydon Denton Burn and the A1M J56 at Barton to J52 at Catterick as well as between A184 Eastbound from White Mare Pool to Testos Roundabout at the A19. Updated at 6.30am. North East Live Traffic‏ reports congestion on the A185 westbound in Jarrow from A194/B1302 Hudson Street to A19 Tyne Tunnel is taking six minutes to pass. Updated at 6.44am. TYNE AND WEAR METRO - The earlier delay between Wansbeck Road and South Hylton has now cleared. The service has said sorry for any inconvenience this caused. Updated 7.31am. 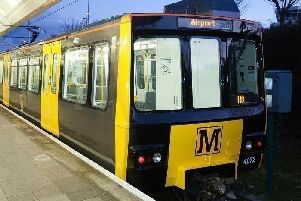 There are delays of up to 10 minutes to trains running between Wansbeck Road and South Hylton due to a train being held awaiting police attendance at Wansbeck Road. People have been asked to leave extra time for their journey. Updated at 7.07am. BUSES - STAGECOACH, GO NORTH EAST, ARRIVA NORTH EAST - No reported delays. Updated at 6.32am. NEWCASTLE INTERNATIONAL AIRPORT - No delays. Updated 6.39am. DURHAM TEES VALLEY AIRPORT - Flight BE7631 from Aberdeen at 9.35am has been cancelled, as has flight BE7632 to Aberdeen at 10.20am with passengers advised to contact the airline. Update 6.39am.